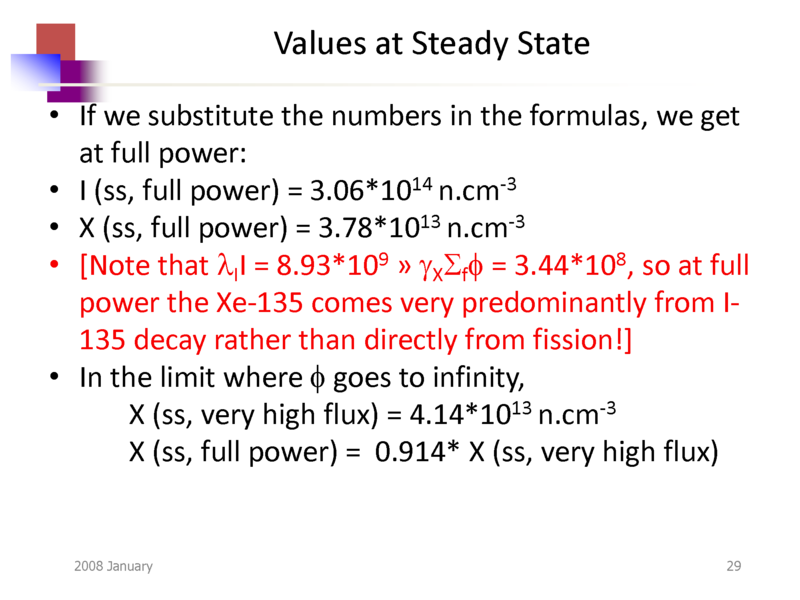 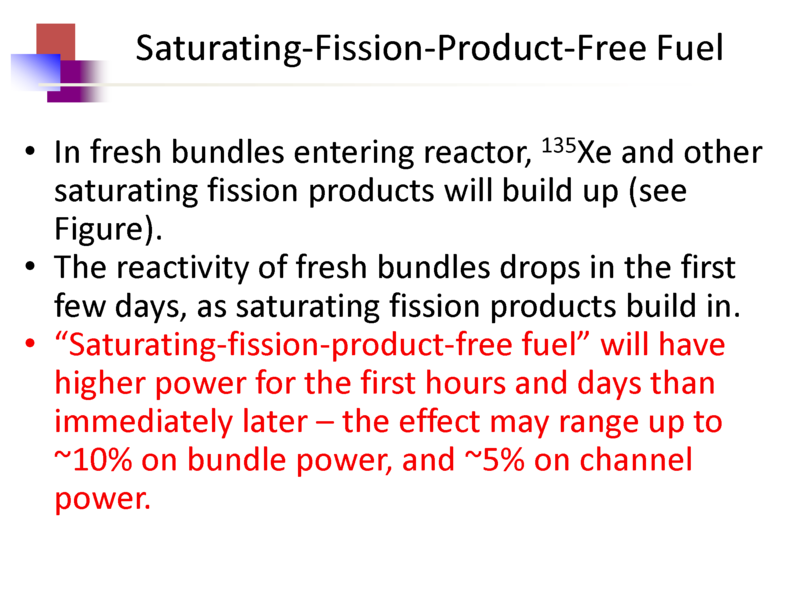 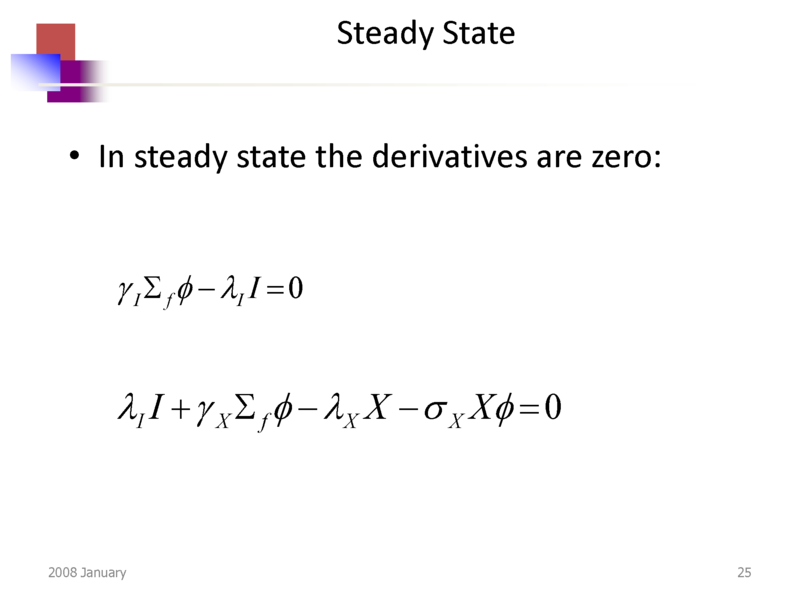 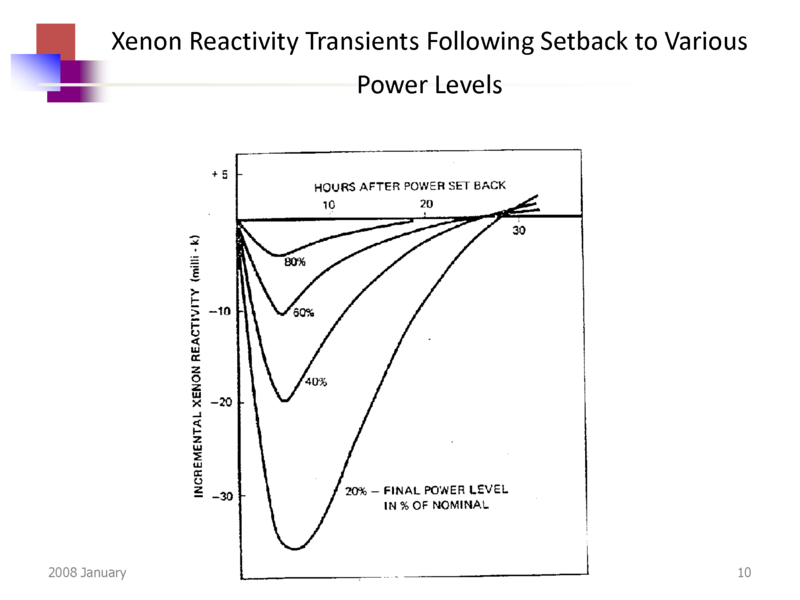 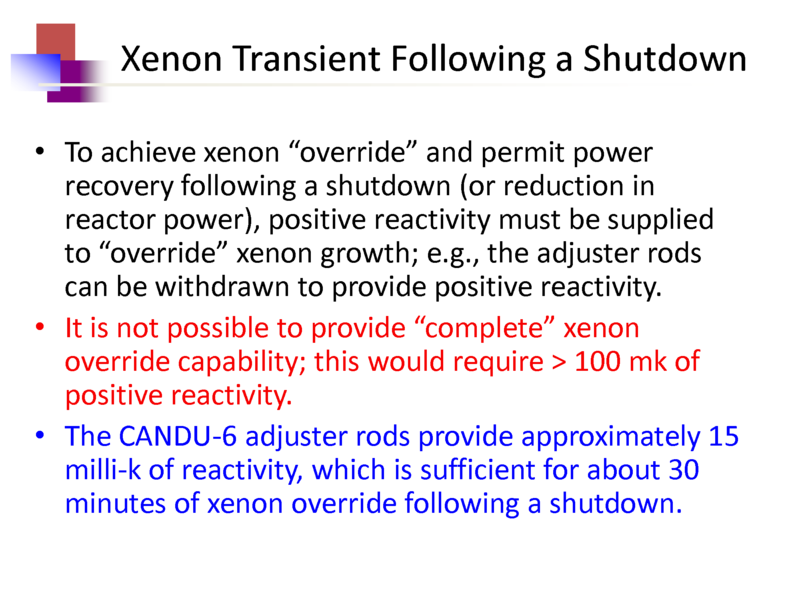 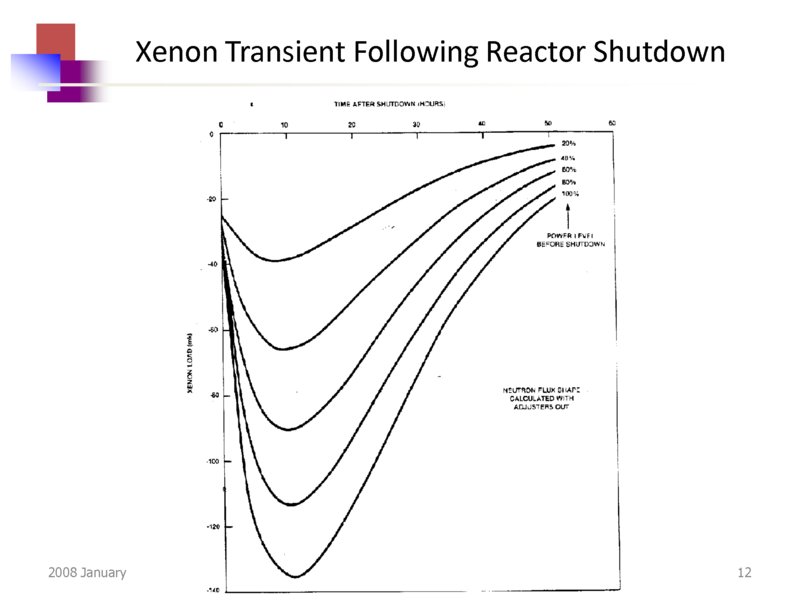 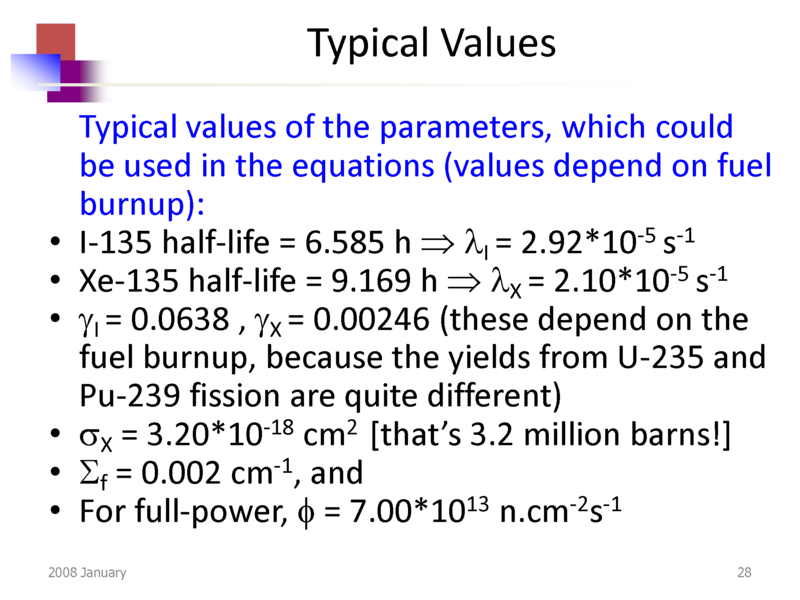 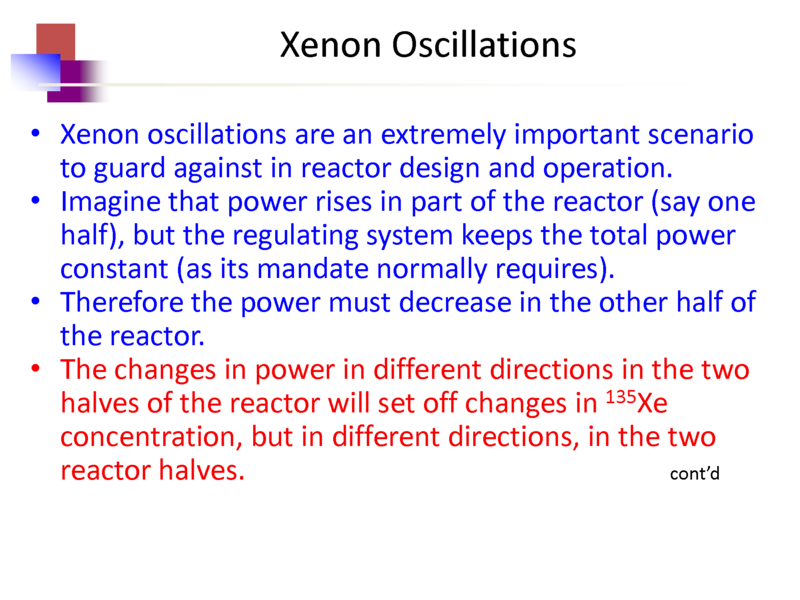 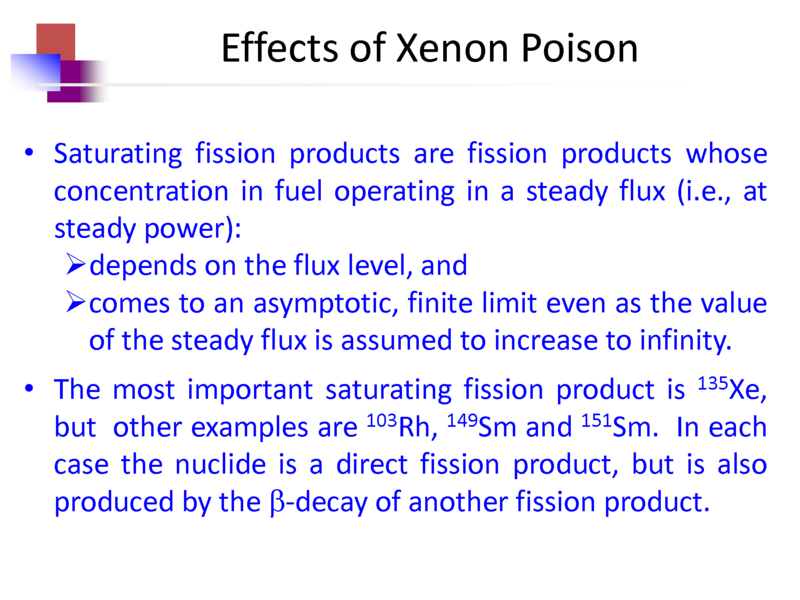 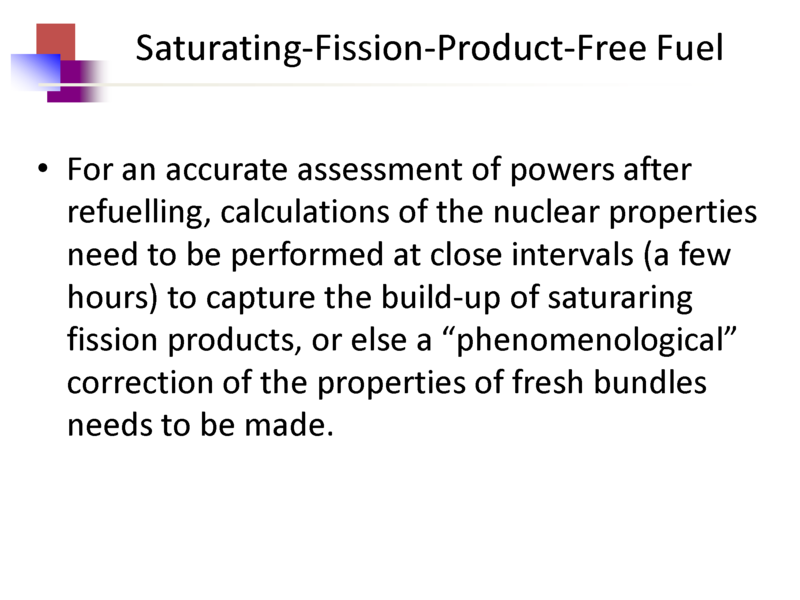 •Saturating fission products are fission products whose concentration in fuel operating in a steady flux (i.e., at steady power):depends on the flux level, and comes to an asymptotic, finite limit even as the value of the steady flux is assumed to increase to infinity. 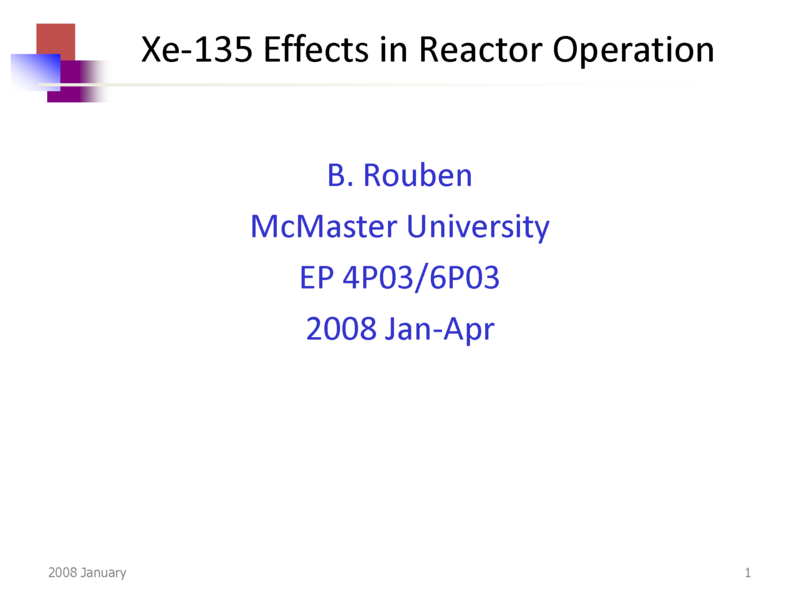 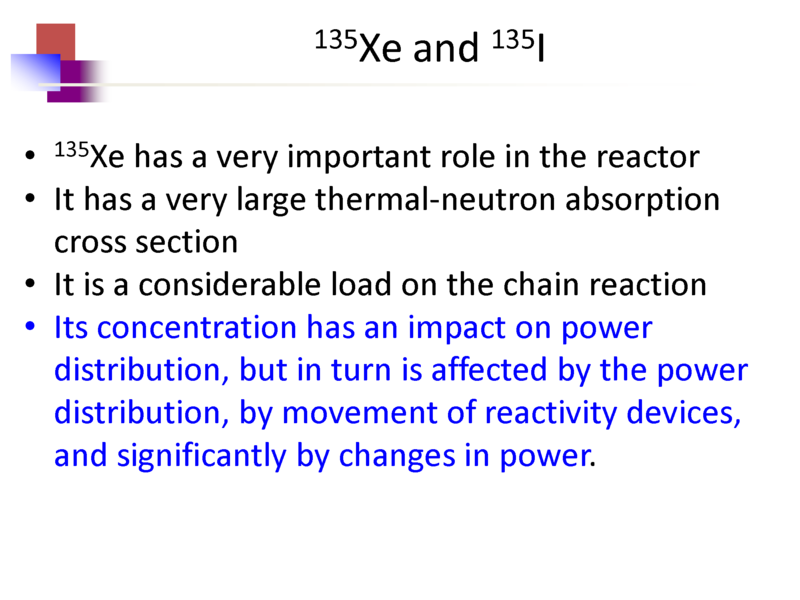 •The most important saturating fission product is 135Xe, but other examples are 103Rh, 149Sm and 151Sm. 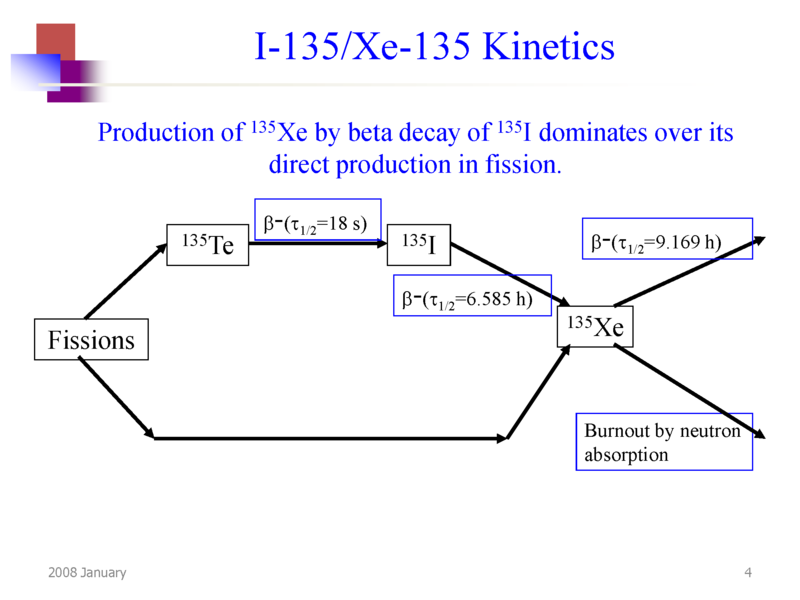 In each case the nuclide is a direct fission product, but is also produced by the β-decay of another fission product. 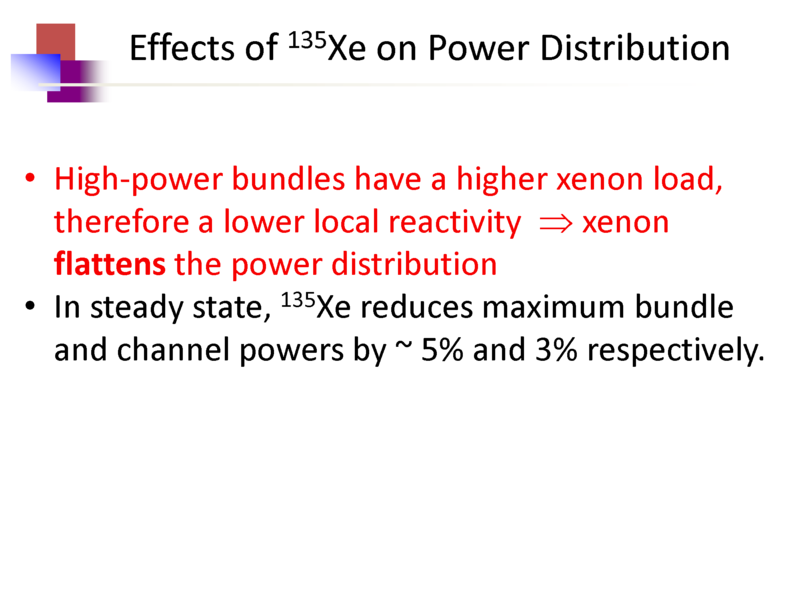 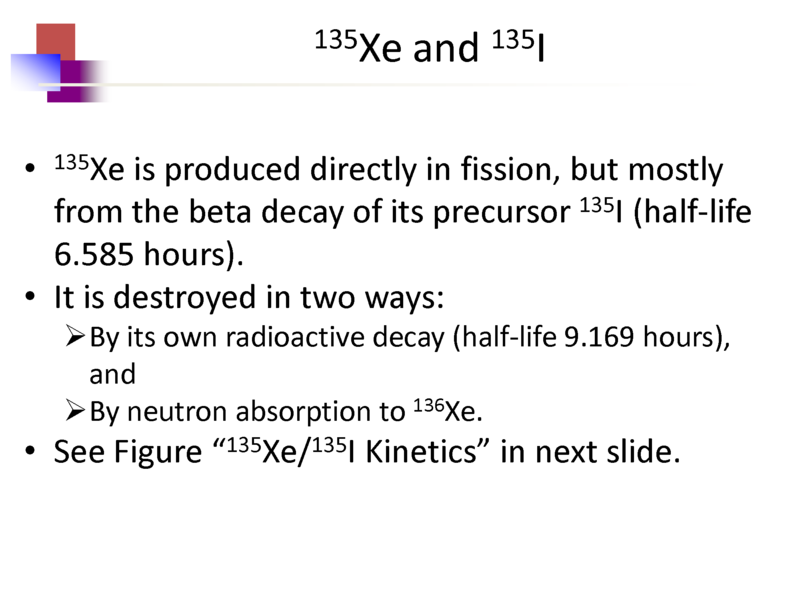 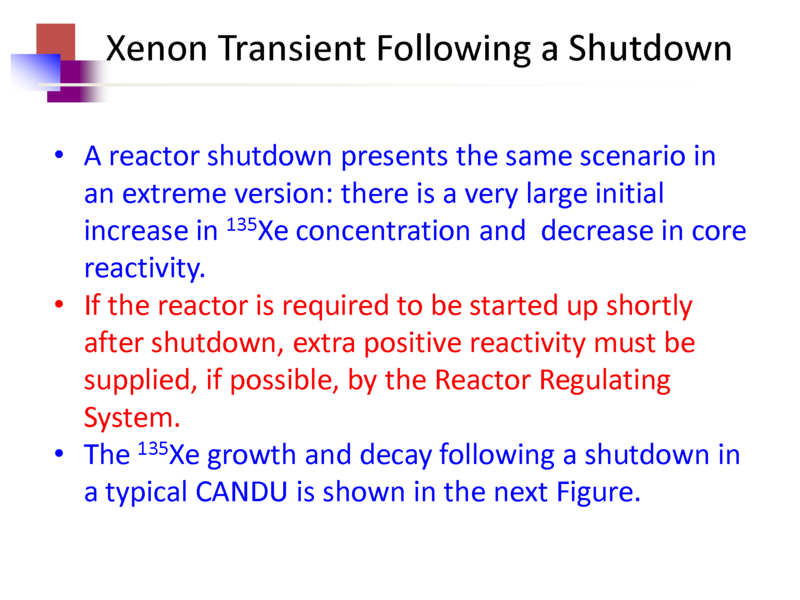 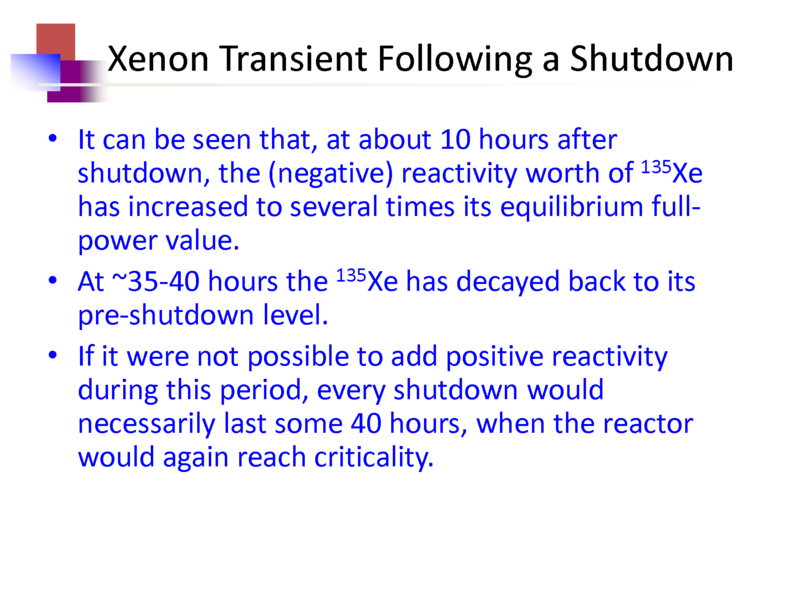 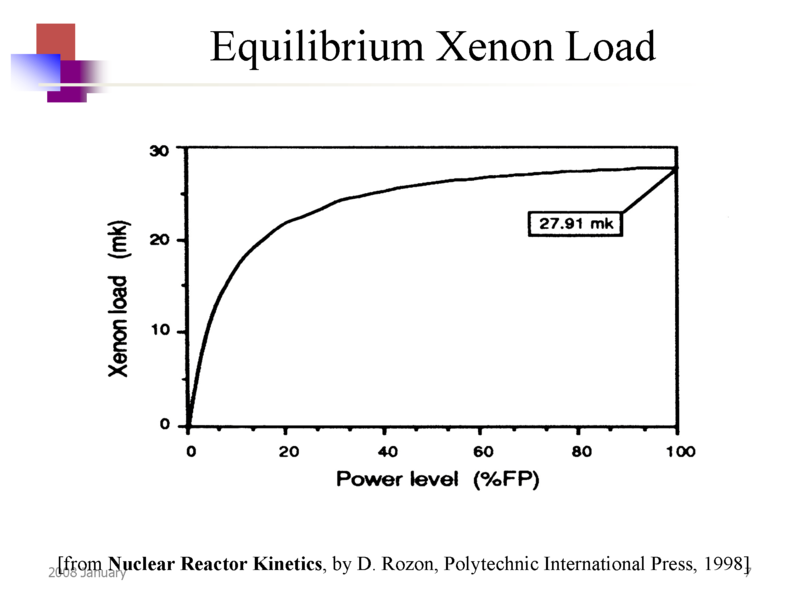 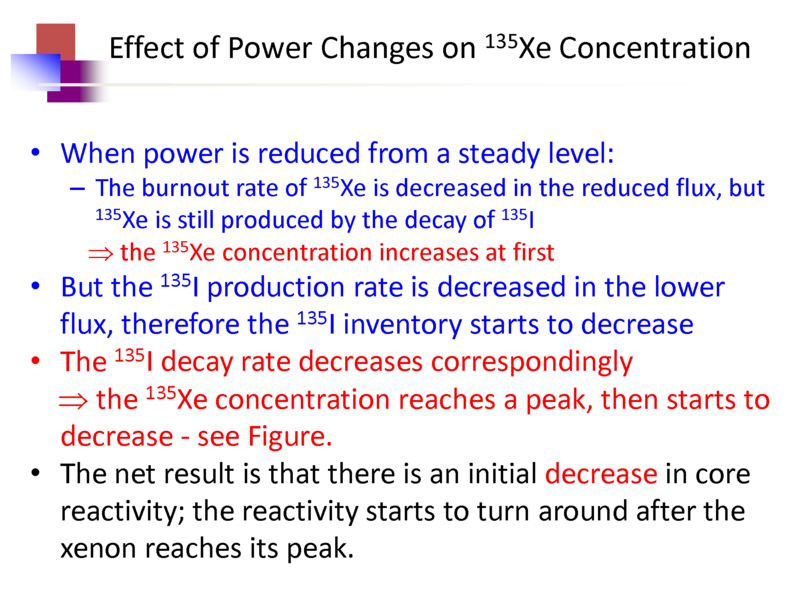 •135Xe is produced directly in fission, but mostly from the beta decay of its precursor 135I (half-life 6.585 hours). 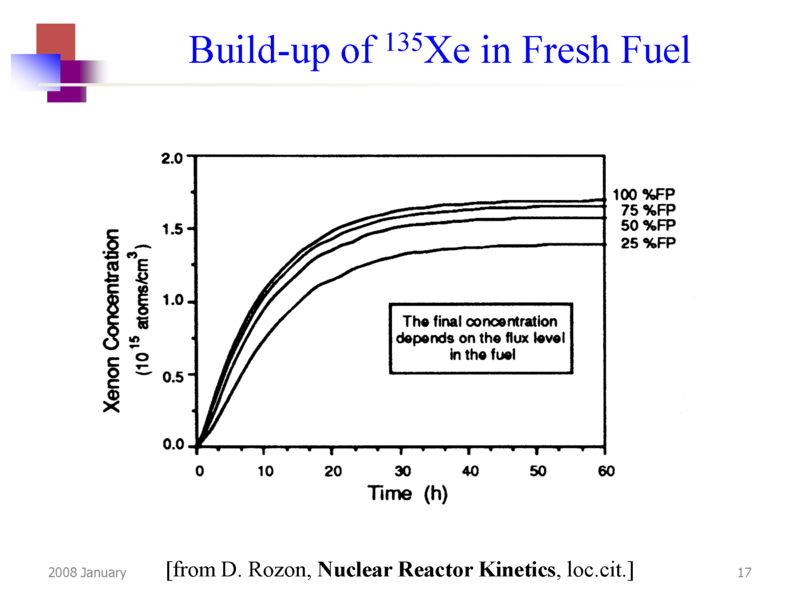 •It is destroyed in two ways: By its own radioactive decay (half-life 9.169 hours), and By neutron absorption to 136Xe. 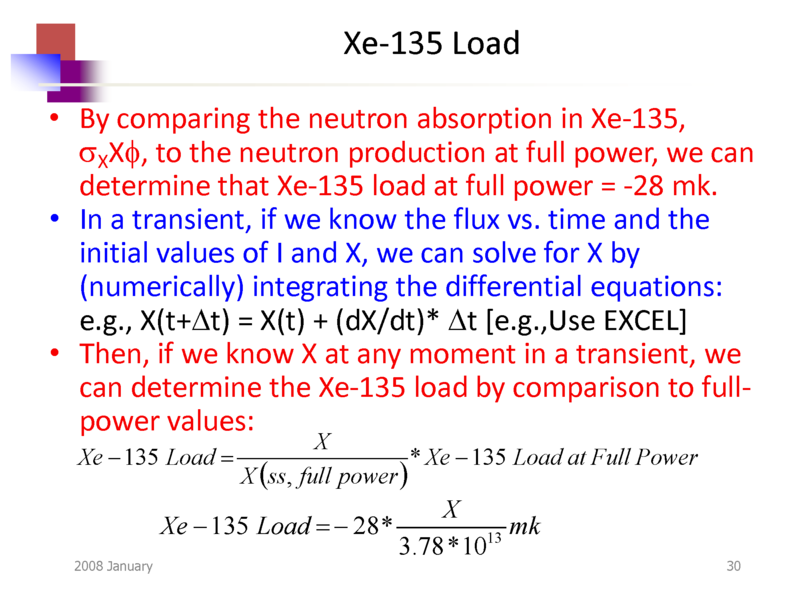 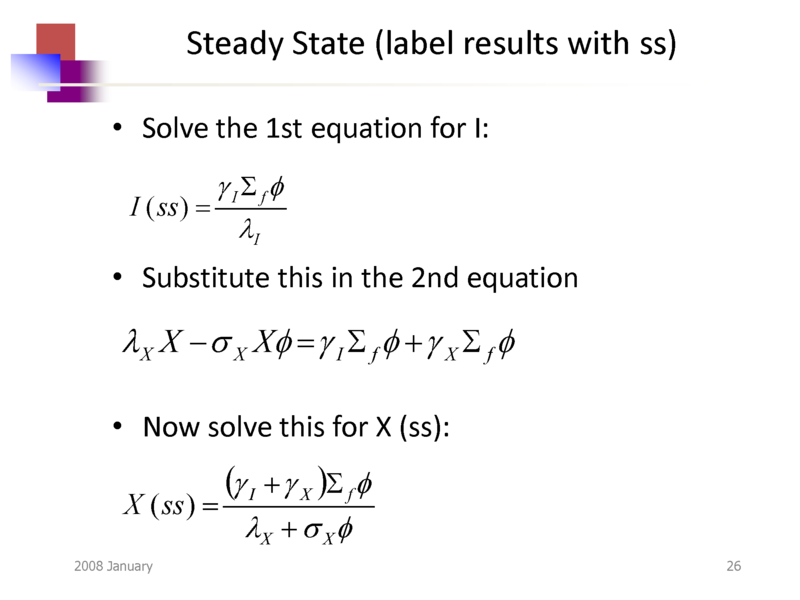 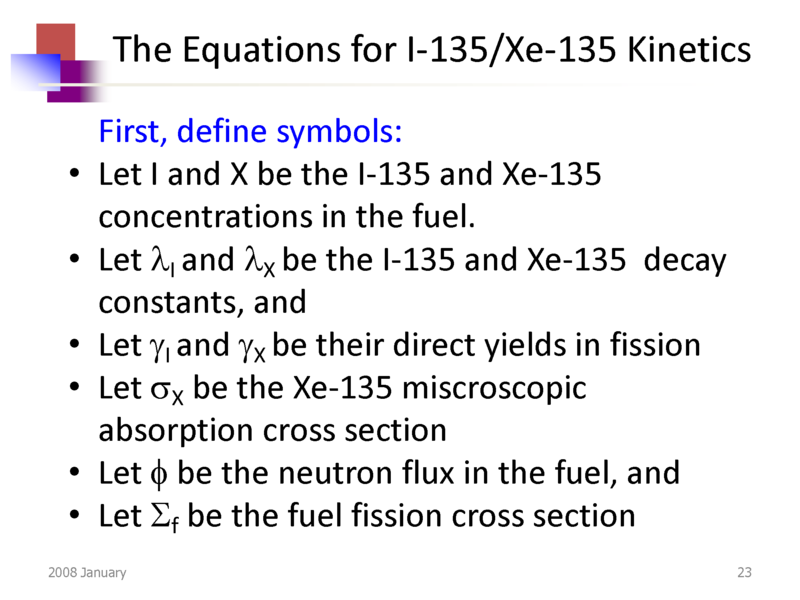 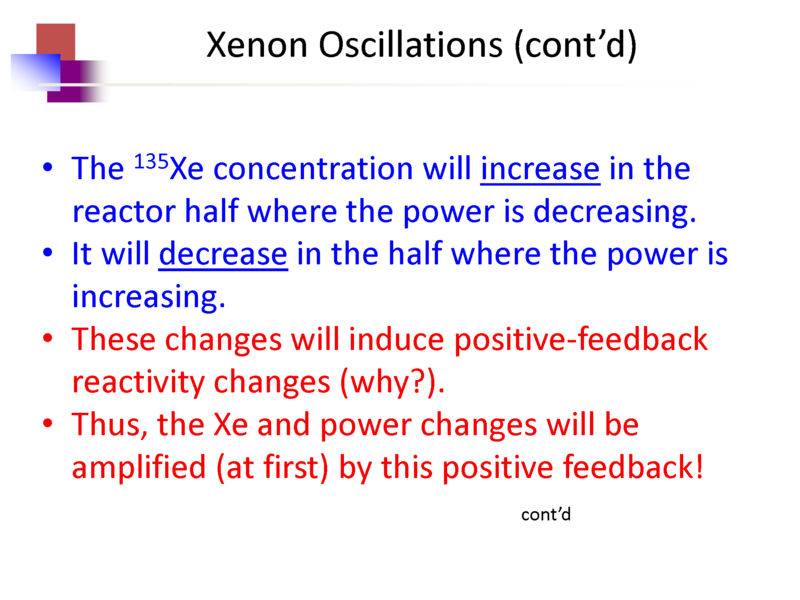 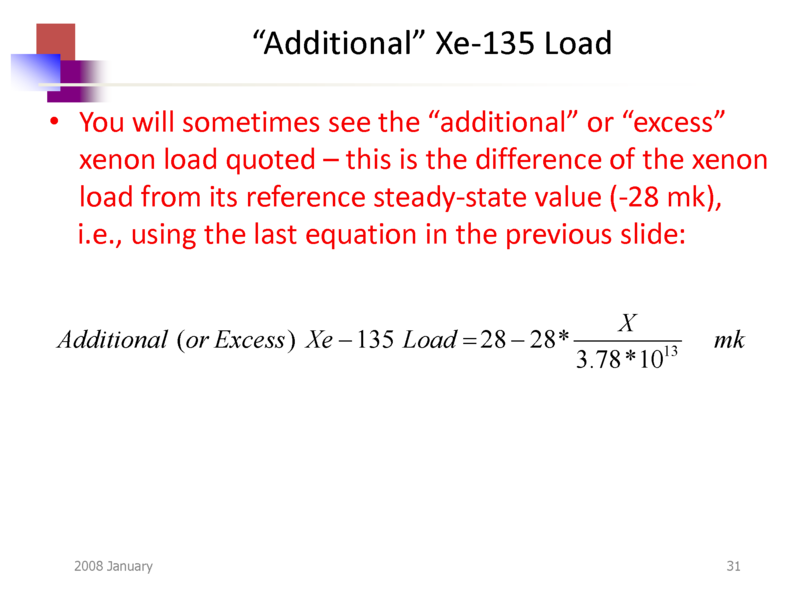 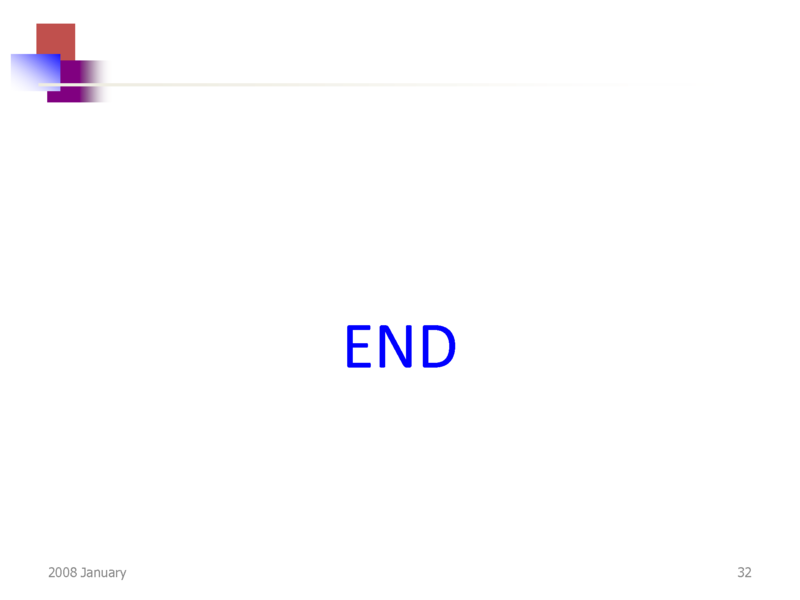 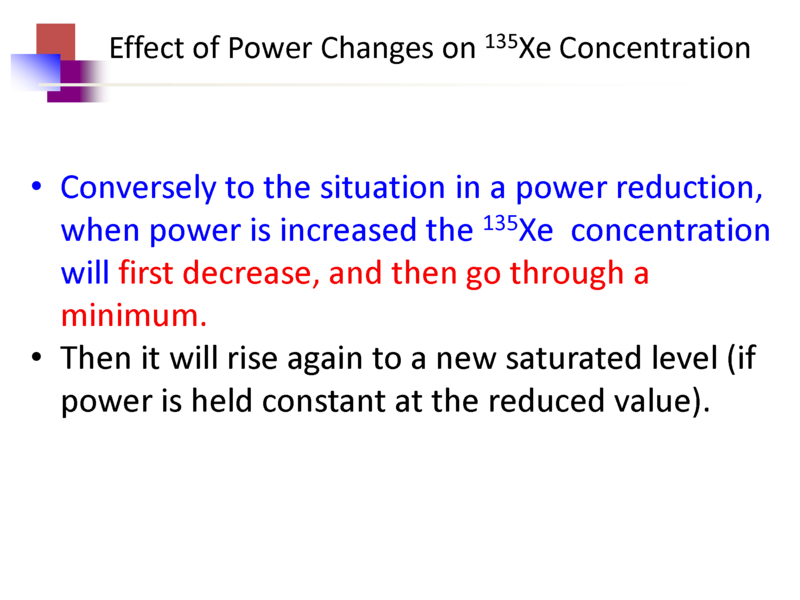 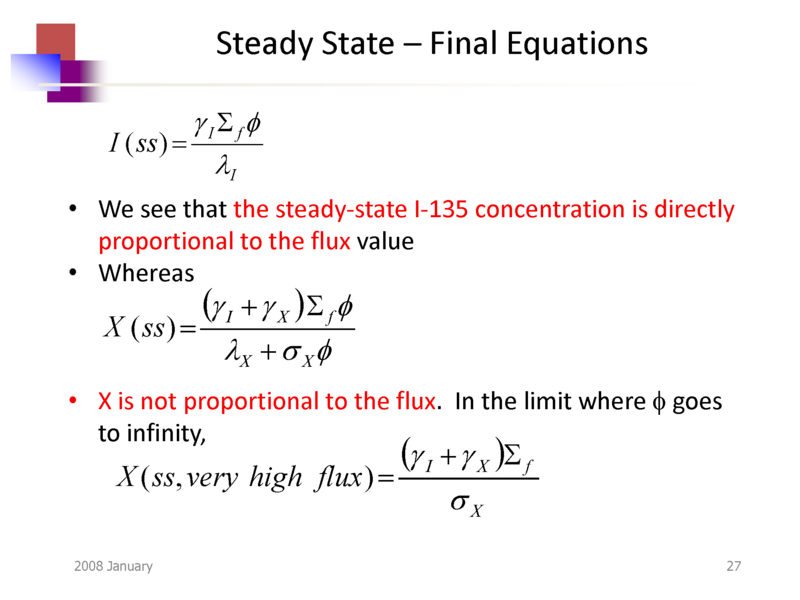 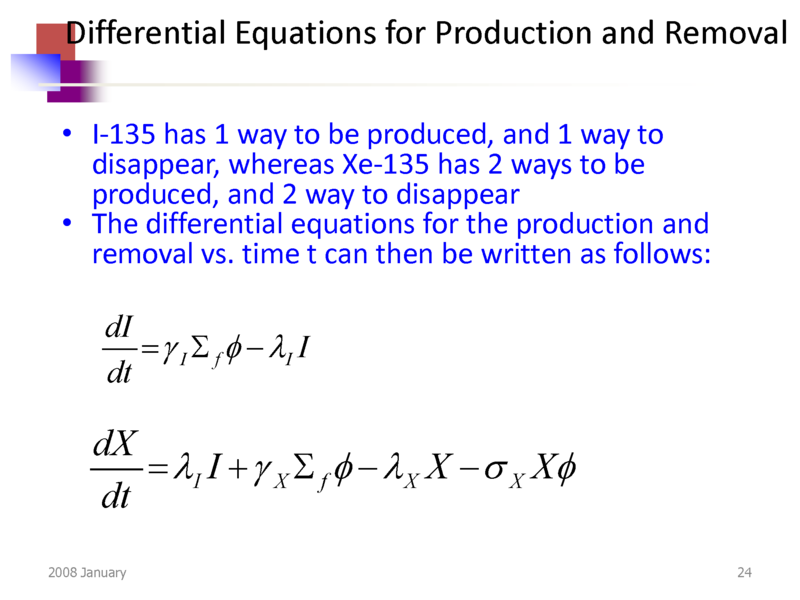 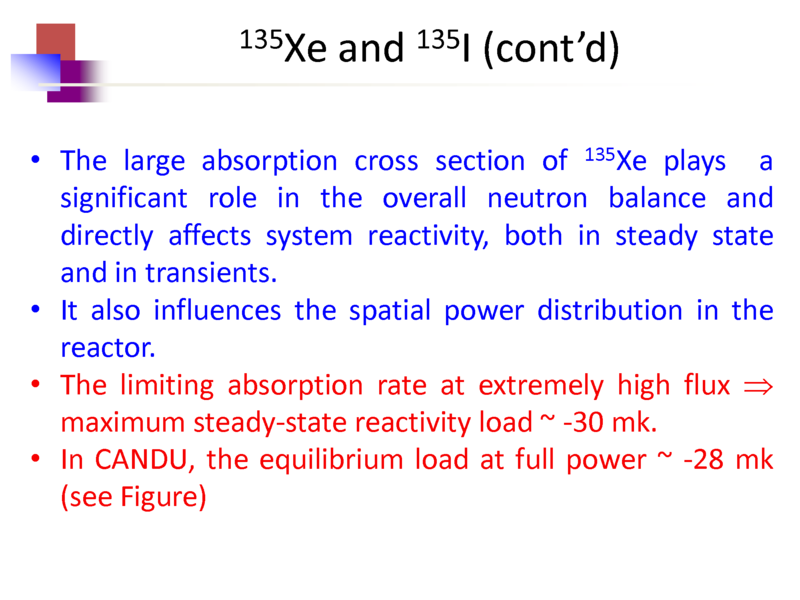 •See Figure “135Xe/135I Kinetics” in next slide.